SUN Records All-Stars is an all-singing, all-playing insight into the origins of rock'n'roll. The show takes it back to where it all began in the 1950s at the famous Sun Record studios in Memphis, Tennessee. In the days when Elvis Presley, Johnny Cash, Carl Perkins and Jerry Lee Lewis, also know as the Million Dollar Quartet, got together in a tiny studio and along with Sam Philips changed music forever. The show is presented in two parts featuring all the hits and passion of the phenomenon of this incredible era of music, with authenticity and dedication. 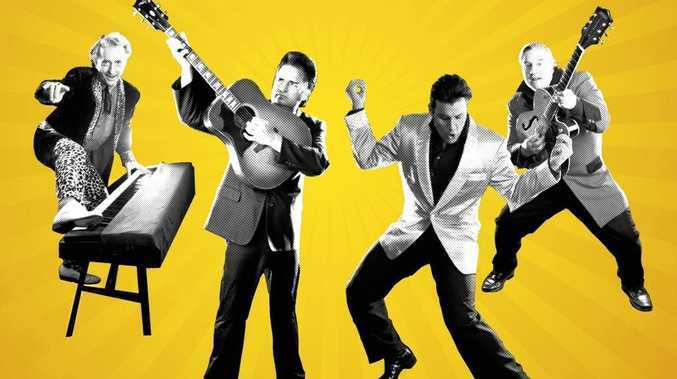 This show, starring Bill Culp as Carl Perkins, Joe Passion as Jerry Lee Lewis, Gino Monopoli as Elvis Presley and Roy LeBlanc as The Man in Black, Johnny Cash, is in its fourth tour of Australia. Direct from the United States, The Sun Records All-Stars is one of the world's greatest dedications to the birth of rock'n'roll. WHEN: Thursday, April 12, 8pm. COST: Adults $60, concession $50 and kids $20.